Penguins books are quite popular, they are fun and penguins are adorable, right? 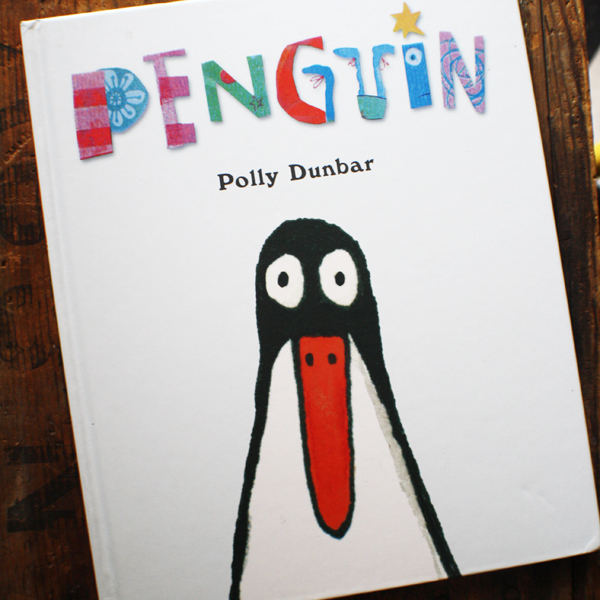 Penguin is not your average penguin story. True, it is fun and the penguin in question is adorable but there's a sneaky sneak twist at the hands of a very blue lion. Hysterical! Polly Dunbar is also one of my favorite illustrators so if blue lions aren't your thing, make sure to pick it up for the pictures alone and don't forget to check out her other titles.